In recent times, it has become clear that many aspects of traditional youth football coaching and development need to change. In an ever-changing world, driven by progress in education, societal shifts, the internet and social media, and reduced contact time with actual footballs – coaches need to adapt too. In “Youth Soccer Development”, football coach Noel Dempsey examines where coaching has come from and where it is heading. Offering insights into how English football has developed, coaching methods, ‘talent’ in youngsters, and how a player’s entire environment needs to be considered in coaching programmes – this book offers many touchpoints for coaches who want to advance their thinking and their coaching. 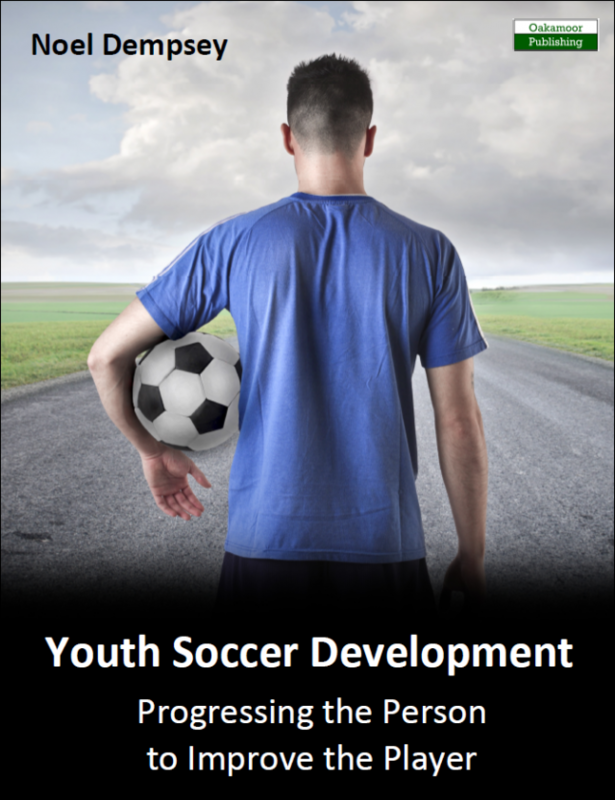 Leaving specific onfield drills and exercises to other books, “Youth Soccer Development” digs deep into ‘nature versus nature’, players’ core beliefs, confidence, motivation, and much more. Advocating that to improve the player, you must improve the person, Dempsey puts forward a case for coaches to be realistic with their players, ensure that they work positively across all facets of their lives – especially education – and to instil a mindset that leads to players being the best person they can be. By creating better people you are more likely to create better players. Originally from London, now based in Manchester, Noel Dempsey has lived and worked within the North-West for the last three-and-a-half years during which time his journey within football coaching and education has taken off. He is currently an academy coach with the Youth Development Phase at an English Championship club. Noel has been fortunate to work within a number of professional football clubs both as a coach and as a teacher and is currently in the process of completing his UEFA A license with the English Football Association. He has already completed the FA Youth Award. Noel is also a qualified teacher with a Degree in Sport Science and a Master’s Degree in Sport and Exercise Psychology. He has worked in a range of mainstream educational establishments over the years within Further Education, and more recently in Secondary Education.